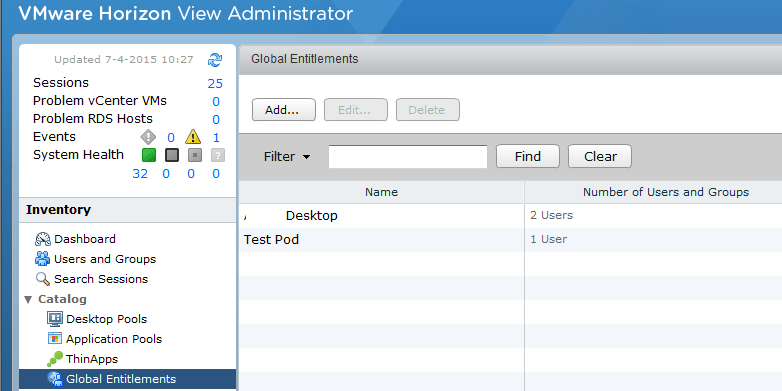 VMware Horizon View 6.1 introduced a new feature, the GUI to manage the Cloud Pod. With the GUI you can edit the Cloud Pod and add or remove local pools or users. When working with the Cloud Pod feature I encountered an issue that I want to share with you so you don’t see it. 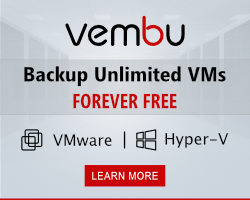 I think it’s a bug in the software but that’s for VMware to decide. 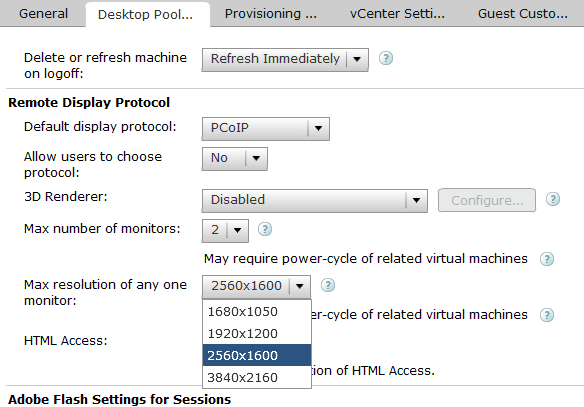 Opening the VMware Horizon View Admin console offers the option to add local desktop pools to a Cloud Pod. Double clicking the desktop pool name will open the menu to add the desktop pools. Then the error appears, server error, that all it says. No explanation no nothing, just like at home with your wife, wit the limited information we have to understand the message. 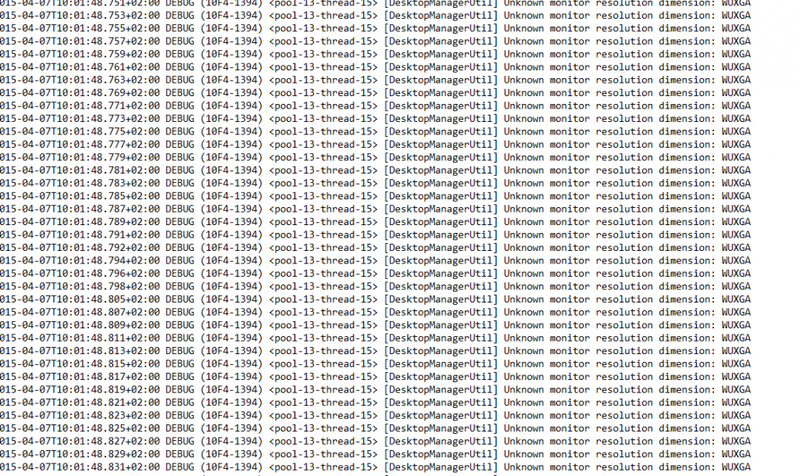 Lucky for us instead of guessing VMware has the possibility to look into debug files what went wrong. Open the C:ProgramDataVMwareVDMLogs folder and search for the debug logs. By default you are given an access denied but that’s just to keep other out. Add Everyone Read on the file and you can open it. I noted that there was a lot of message related to the unknown monitor resolution. Weird that adding a desktop pool to a Pod would be concerned with this. With 6.1 we got a higher resolution and me co-worker (the customers) suddenly remembered that he change the resolution to the highest option. The new high resolution is 3840×2160 whereas we used to work with 2560×1600. We changed the resolution to the old value and did a retest. Now we can succesfully add the local pool to the global entitlement and it works fine.